Hamburg, May 03, 2012. 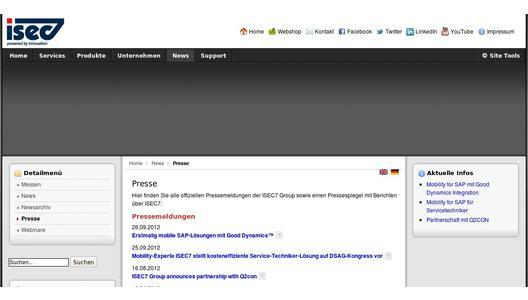 Mobile Exchange Delegate – the new solution of ISEC7 now available in the BlackBerry App World. For the first time, it is possible for third parties to access Microsoft Outlook calendars, e-mails and contacts via BlackBerry smartphone. With ISEC7 Mobile Exchange Delegate, authorized representatives can confirm, establish or change dates on behalf of superiors, colleagues or team members, access their contacts and answer their e-mails. 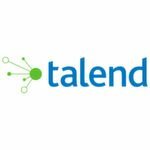 Thus workflows are improved, new processes can be started without losing time – even when being on the way. There are three versions of the solution: ISEC7 Mobile Exchange Delegate Standard and ISEC7 Mobile Exchange Delegate Professional are available for download in the BlackBerry App World. ISEC7 Mobile Exchange Delegate Enterprise, addressing companies, can be obtained from ISEC7 directly. 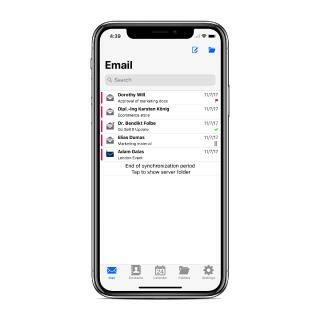 Mobile Exchange Delegate allows access to public folders (type e-mail, calendar, contacts), third party’s mailboxes for e-mail, calendar, contacts, functional mailboxes and team calendars. Pre-defined representatives receive read and write access permission – along the lines of their authorization in Outlook. ISEC7 Mobile Exchange Delegate comes with Outlook-like features including: create, edit and delete, set priorities and categories, send on behalf of others, track and edit recurring appointments. The use of ISEC7 Mobile Exchange Delegate is quick and easy: Permissions are automatically adopted from Outlook. No middleware is required for its administration and configuration. 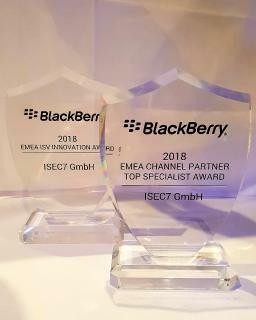 At the current BlackBerry World, ISEC7 presents its solution portfolio as the only German Mobile Device Management (MDM) provider: B*Nator, Mobility for SAP and ISEC7 Mobile Exchange Delegate. The ISEC7 Group is an international one-stop mobility software-and professional services expert for enterprise and business environments. The company offers experienced mobile consultancy as well as services and software development for mobile communication solutions. Since its 2003 founding in Hamburg, Germany, ISEC7 has invested considerable research and evaluation into new technologies. ISEC7 continues to develop leading software solution technologies, which have consistently remained at high-end market levels. With its cross-platform native applications, the Mobility for SAP solutions, ISEC7 grants mobile access to any SAP backend without additional middleware. ISEC7 also offers the most complete MDM solutions: B*Nator RC, which won the 1st prize in category "Most Innovative Enterprise Application" at BlackBerry Developers Conference in Santa Clara, USA. ISEC7 currently holds international offices in the USA, Germany, Switzerland, Austria, Spain, Brasil, Bahrain, Turkey and China.